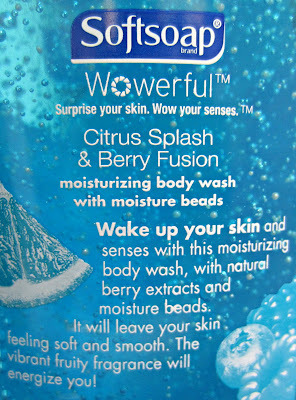 Softsoap is introducing a new body wash in August! I always enjoy Softsoap's body washes, because they're so reasonably priced, they make some wonderful scents, and they do a good job of cleaning and moisturizing my skin. 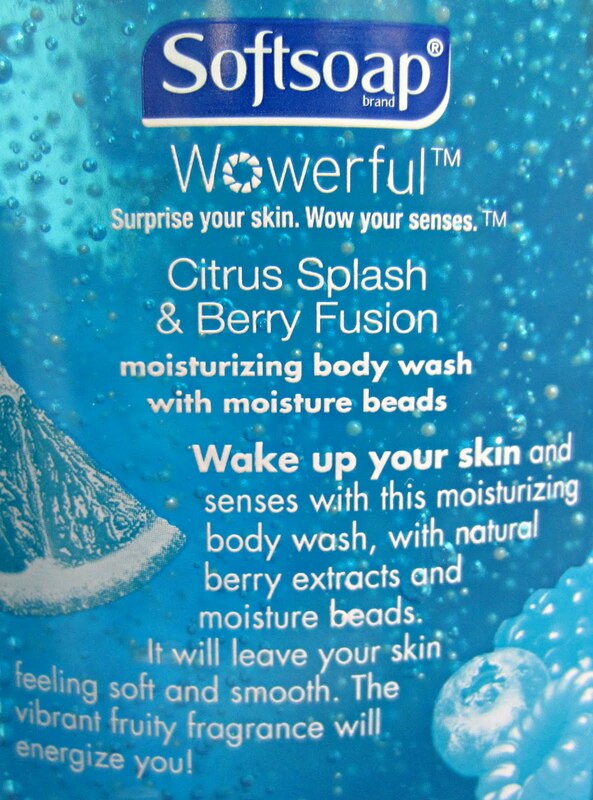 Citrus Splash & Berry Fusion will be available soon at mass retail and grocery stores, and it has a retail price of $3.48/18 fl. oz. This has a fresh fruity/berry scent with an underlying burst of citrus. Check out that beautiful bright blue color! 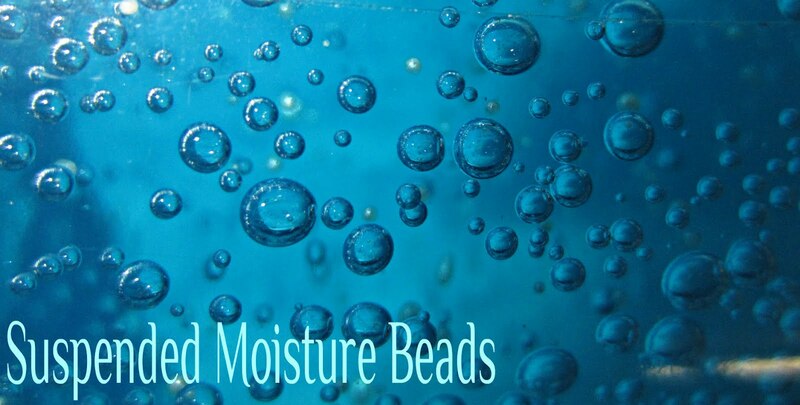 This is a moisturizing formula with suspended moisture beads that leave skin soft and smooth. 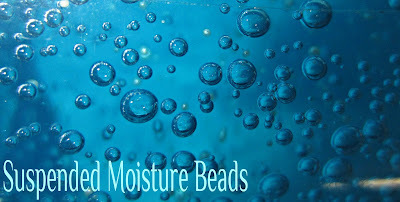 The beads are soft and gel-like, so they melt right into your skin and are not really noticeable in a tactile sense. The formula is a thick gel, and it lathers up very well. The fresh, fruity aroma doesn't linger on your skin, so it won't interfere with any fragrances you want to wear after your shower. Infused with natural berry extracts (strawberry, peach, raspberry), these ingredients not only add to the aromatic pleasure, but they also contain anti-oxidants and vitamins to help skin retain elasticity and renew skin cells. In addition, these extracts contain moisturizing properties. Sweet almond seed extract is also found in this shower gel, which aids in moisturization, and is an excellent emollient to soothe and soften skin. Shea butter is yet another beneficial ingredient found in this product, and it works well with the fruit extracts and sweet almond seed extract to improve skin's elasticity, and heal and soften skin. This is a very refreshing scent in the shower, and just a small amount on a bath pouf gives me plenty of lather. It rinses clean, leaves my skin very soft and smooth, and it also works great when used as a shaving gel.